Mostly, many homeowners consider concrete driveways as a DIY project that can inject a fresh look into the front end of their premises. Although the process can be done in a DIY fashion, it doesn’t come without laid down steps. There is definitely a process to follow during the building of a driveway that individuals might sideline. With concrete driveways, maintenance costs will be kept on a minimum. They are also considered more durable. Moreover, they don’t require frequent repairs and maintenance except for occasional resealing for enhanced resistance capacity. A properly installed concrete driveway is capable of lasting up to 20 to 50 years. First and foremost, plan your driveway’s size, shape and route. This step requires a well-planned and marked outline. Many factors come into play here– overall length and width, where you’ll park your car, whether or not you’ll need space to turn around, etc. It’s recommendable to allow at least 18-20 feet for a car and 22 feet – 24 feet for vans or trucks. Although you still can design your driveway site according to your interest, every foot you add to either height or width should increase the overall project expense. Secondly, ensure that you adhere to requirements about comprehensive strength. You should have the necessary permits prior to the inception of the project. A standard driveway requires the concrete to be 4 inches thick, at least; although 5 inches is known to offer additional 50% of extra strength with an additional 20% cost upsurge. Or smooth drainage, make the drive slope ¼ inch per running foot. Ensure that you come up with a stronger mix, hard to crack, by following the recommended admixture water requirements. It’s now time for site preparation. This involves clearing any vegetation and wooden forms along the edges of the site of your future drive. Then follow with a base of compacted gravel. This results in a driveway that’s leveled and well drained. After the initial works, pour out your driveway concrete mix. The quantity of concrete to use is solely dependent on the dimensions you require, including the concrete thickness. Spread the concrete mix in the wooden forms, reinforce it and finish the surface. Ensure that your control joints leave 8-12 feet intervals. 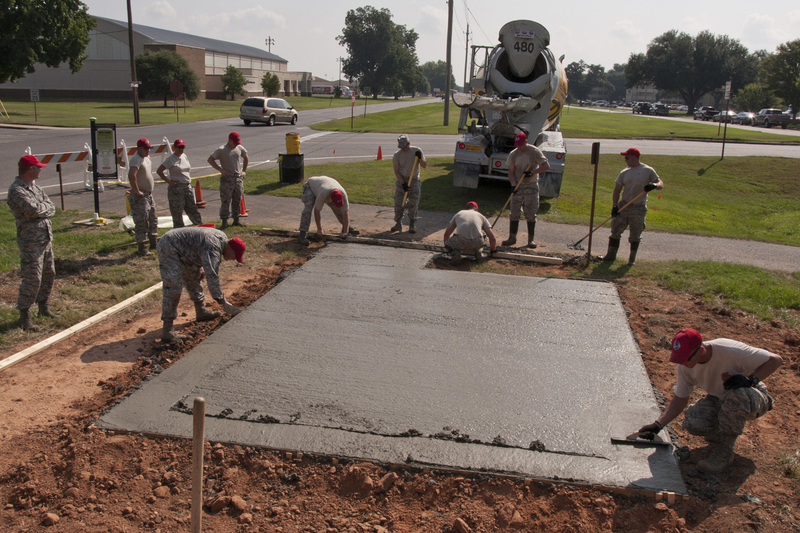 Then you need to subject your freshly constructed concrete driveway to a curing process before it’s ready for your use. It is basically done through allowing at least one week before use, and also don’t seal it before a month is over. All this time, keep your drive moist by spraying with a hose pipe. Lastly, consider decorating your driveway with 21st-century designer colors and attractive finishes. A common practice is to go for concrete color that resonates well with your home. And eventually there you have it, a more attractive driveway, made out of a simplified process. Park your car on your new driveway and watch your visitors blown away.